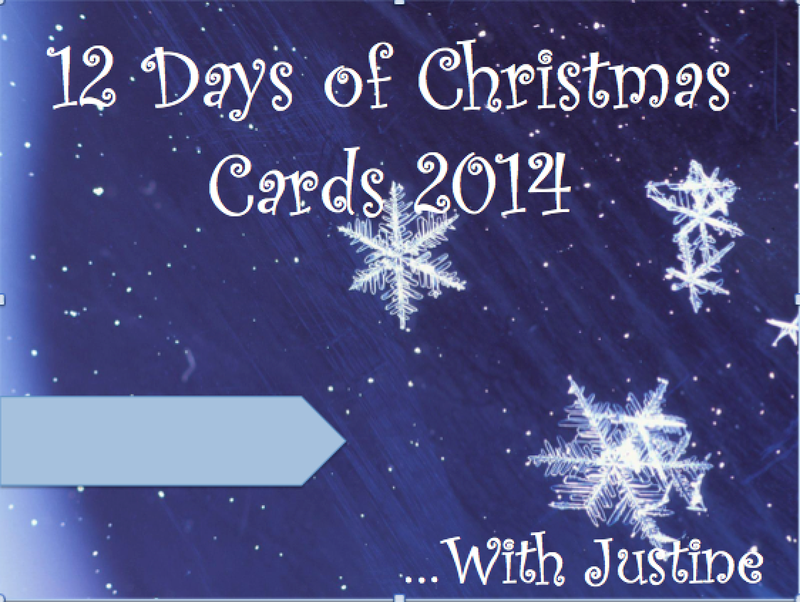 welcome to day 7 of the 12 Days of Christmas Card Video Tutorials Series 2014! We are now officially halfway through which means it is definitely time for a giveaway! All winners will be announced on Wednesday, November 19th! Giveaway details towards the end of the post! In this video I teach you how to make bulk cards using a card I was inspired to create from Online Card Classes a few years back. This is such an easy card to create multiples of if you stay organized and I show you how to do just that in the video so make sure you watch! 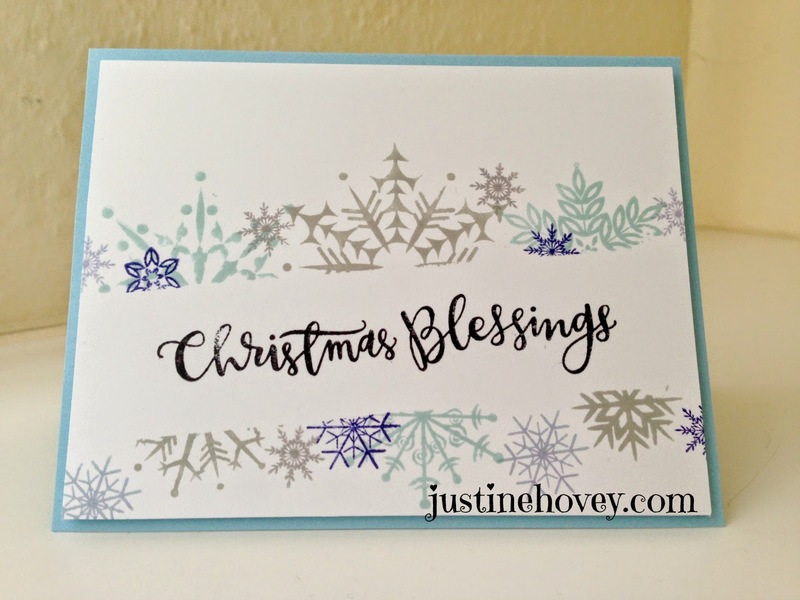 I used Hero Arts Designer Snowflakes Stamp as well as Close to my Heart's Snowflakes Stamp. Supplies listed at the end of the post. Giveaway! 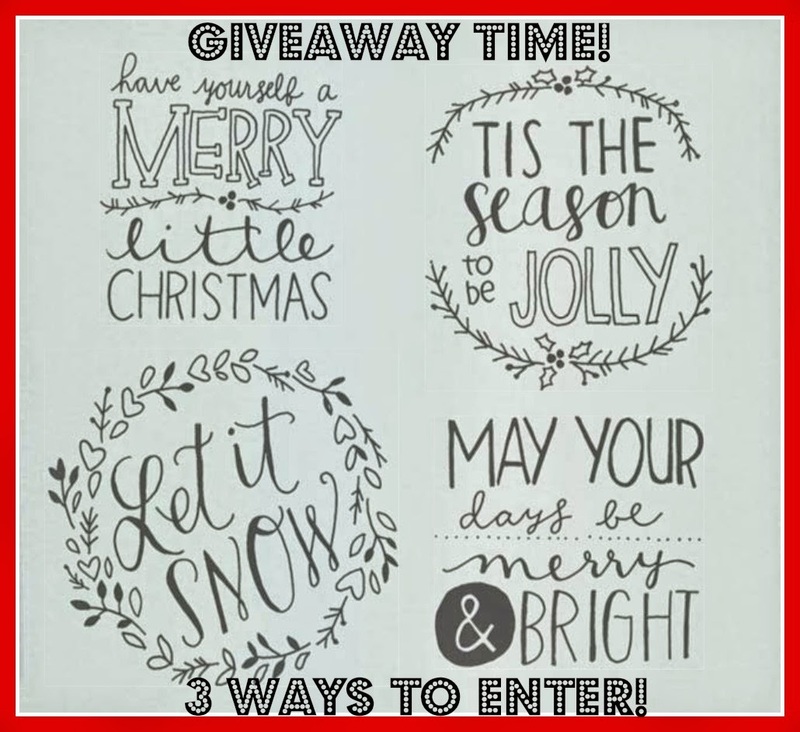 I am giving away the Be Jolly stamp set! There are many ways to enter! 2. Like my Facebook Page. 3. Tag a "crafty friend" in the Day 7 post on Facebook Page. 4. Comment on my Youtube Video. 6. Follow me on Twitter. I love this card! Thanks for the chance to win! Great giveaway, thanks for the chance to win it! This is my favorite! I love the design and colors!